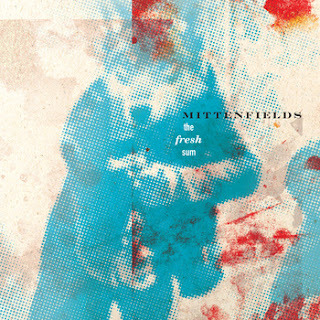 D.C.-based band Mittenfields are currently on tour and are making a stop here in Dayton at the Oregon Express on Saturday, April 28th. Be sure to bring your earplugs because their eclectic distortion-laden wall of guitars sound is set to explode your eardrums. They are touring in support of their excellent self-released EP The Fresh Sum, that incorporates the rhythm-centric sound of their hometown with a fuzzed-out 3-guitarist attack and a quirky pop sense, like if My Bloody Valentine and Arcade Fire were one band. I am excited to see them, I especially can't wait to hear the live version of the feedback-fueled standout closing track, "Cascades"! Opening the show is the local lo-fi rock trio Sad Cadillac, whose promising debut EP Homegrown was self-released earlier this year and features a guitar-centric classic rock meets 90's indie rock sound that will fit right in with the Mittenfields. Baby Teeth - "White Tonight"
Broadcaster - "Tightrope Walker" 7"